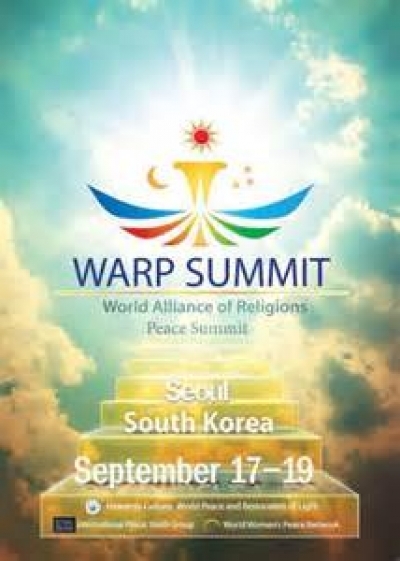 Second Annual Commemoration of World Alliance of Religions’ Peace (WARP) Summit will be taking place from 17th -19th September in Seoul, South Korea. Over 2000 prominent figures including politicians, top level religious leaders, prominent law experts, women and youth leaders and major media journalists will be gathered, and this will be witnessed by 200,000 people at the very place. Especially, Ministry of Education, Minister of Home Affairs and Ministry of Justice of Sri Lanka are expected to participate this summit as the ones who have shown their support on HWPL by writing supporting document. On 14th March, when DPCW was proclaimed, Wijeyadasa Rajapakse, the Minister of Justice in Sri Lanka, delivered a congratulatory speech, saying “Sri Lanka had a serious war which got just ended 16 years ago, due to differences of Race, Language, Religion, Geopolitical reasons etc. WARP Summit is remarkable since the two main initiatives of HWPL were announced and after all, have been actively cooperated and supported by International Peace Youth Group (IPYG) and International Women’s Peace Group (IWPG), who are potential war-sufferers. Ever since DPCW was proclaimed, they have raised their voices for an enforceable form of an international law to end any kinds of conflicts in forms of active pledge-signing campaigns, which later on served as a proof of desire shown to the heads of state, international organizations, and the global society. Up until now, 190,000 supporting signatures have been gathered.